Damn it all--this should have been a good burger. Parlour looked like a legit steakhouse/raw bar. Too bad that they couldn't cook their way out of a wet paper bag. While the beef was pretty good--it was certainly not properly aged. Not a trace of seasoning, and the last bite was full of gristle. The grind was off-putting. Somehow, they manage to get the beef ground into strands, so the mouth feel was way off, and the beef was not flavorful enough to savor, which left me chewing on some worst-of -both-worlds cheeseburger/steak hybrid. The bun--what a disaster. In a fit of cleverness, someone decided that it would be a good idea to toast the top of the bun--did I say "toast"? What I meant was immolate. Nothing crappier than dry, flaky, blackened bread. Additionally, the dry, burnt bun overwhelmed the smallish, unseasoned patty, so I was left with a bunch of dessicated bread after eating this sad thing. The cheese--somehow they located the world's most flavorless yellow cheese and decided that would a perfect complement to this disappointment on a bun. Actually it was--if they were shooting for mediocrity, they nailed it. The fries were plenty salty, so you know that the talentless falks in the back had access to basic seasonings--sadly, they either used too much or none at all. 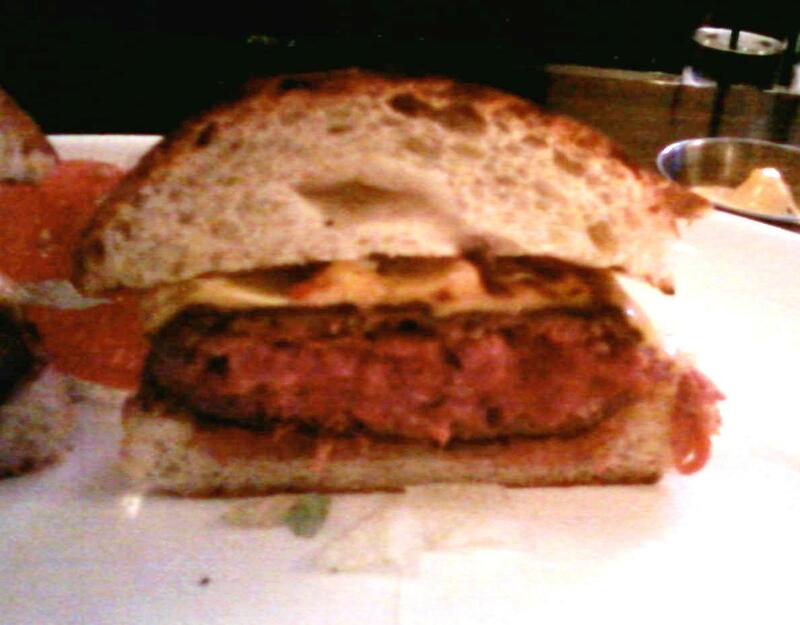 Burger Review : I would have been better off with street meat than this 16 dollar waste of ingredients. Also, I resented them for charging 16 bucks for something this bad. Save your money---go somewhere else--anywhere else.